These gatherings are a rare opportunity to explore ourselves as Asian practitioners in a free and safe space. The aim is to support a sense of our shared experience, give each other mutual support and inspire each other’s clinical practice. Students are also welcomed. To find out about the kinds of themes or topics under discussion, as well as projects that individual groups are in the process of undertaking at some of the other BAATN gatherings, please take a look here. The idea of this group has been muted for many years, and was finally realised at the BAATN conference in April 2016. While accepting the importance of the framework that BAATN provides, it is also beneficial to acknowledge the cultural and other differences that exist between ancestries rooted in Africa, the Caribbean and Asia. 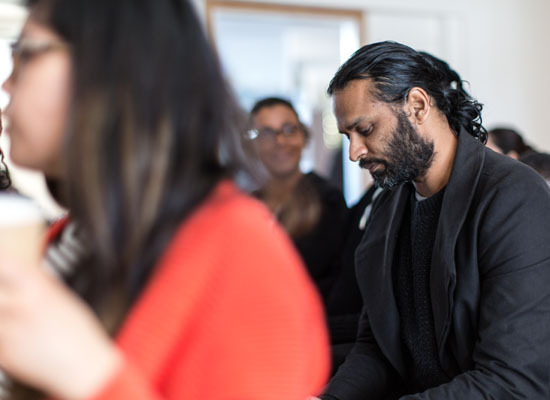 The Asian practitioner gatherings are an opportunity to both identify and reflect, but also develop and provide support to the network clinically. The group will a maximum of 14 people. Why have Separate Groups for Black and Asian Therapists? Cost: This event is free to Directory, Practitioner and Student members, £10 for Non-members. For Non-members booking reservations without payment will be held for 1 week before being offered to another person. Booking: Only the next two upcoming dates will be open for registration at any one time. Please do not attend the gathering if you have not booked as the groups are often full. You can also book a place by email: connect@baatn.org.uk or download the booking form. If an event is full email connect@baatn.org.uk to join a waiting list. The places will be offered on a first come first serve basis but if a place becomes available just before the event is due to take place, everyone on the waiting list will be contacted via email, with the first person to respond being offered the place.